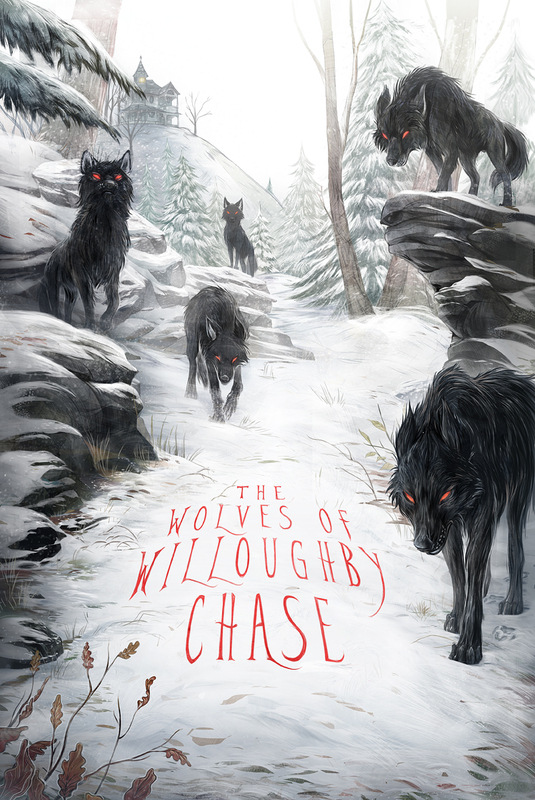 For the book “The Wolves of Willoughby Chase”, commissioned by Penguin Random House (UK Branch). The cover is meant to convey a scenario where the reader has been tracked down by a pack of wolves. A bit of foreshadowing with the presence of a house on a distant hill is meant to add depth and story to the scene.